A Massachusetts Air National Guard F-15 jet has crashed in Virginia, near the town of Deerfield, but the fate of the pilot is unknown, military officials say. Witnesses near the crash site reported hearing a loud noise and seeing a large plume of smoke in the sky. 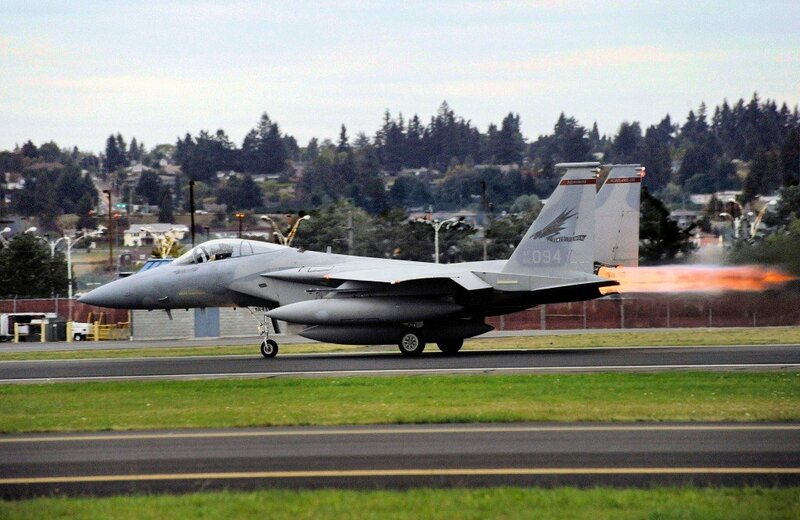 Officials lost contact with the Massachusetts Air National Guard F-15 shortly before the crash, police said. No injuries on the ground have been reported and rescue workers have been dispatched to the area, police added. Major Matthew Mutti, a spokesman for the Massachusetts Air National Guard, said the single-seat aircraft had been on a routine training exercise and had no munitions on board. Augusta County Sheriff’s office said the plane went down at around 09:00 local time. Jenny McNeal, a spokeswoman for the sheriff’s office, said the crash site was in a rural area near Deerfield town in George Washington and Jefferson National Forests. The US Air Force currently has 249 F-15 jets in operation and they have been deployed to both Iraq and Afghanistan in recent years. The type that crashed in Virginia was an F-15C, which costs $30 million.